These non-professorial titles designate positions to which individuals of high distinction in research and scholarship may be appointed. The primary role is research and scholarship, but persons in these titles may be involved with the teaching program to an extent consistent with terms of the funding of their positions. Senior scholars and senior scientists may serve as principal investigators for sponsored research grants. The positions carry the professional stature of full professor and salary commensurate with this rank, but not indefinite tenure. Appointments require dossier review equivalent to that for promotion of associate professor to professor and approval by the provost. 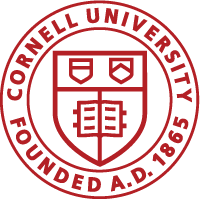 This review must include professional evaluations from individuals external to the unit and external to Cornell and committee advice to the dean. These provisions underscore the high-profile stature of these titles. Senior Scholars and Senior Scientists are not members of the University Faculty. They are nonvoting members of their college or school faculty unless given the right to vote by the particular faculty. These titles reflect salaried positions that are subject to affirmative action regulations. Appointments may be made for periods of up to five years and are renewable. Reappointments require approval by the provost, upon recommendation by the department chair and the dean. The senior scholar and senior scientist titles must stand alone; appointees may hold joint appointments in other departments, but they cannot simultaneously hold modified professorial titles. These titles are not part of the research associate/senior research associate promotion sequence. Senior Scholar and Senior Scientist titles may be modified with “visiting.” More on modifiers.